Every spell has a loophole, right? It's nice to see that even though we're seven seasons into The Vampire Diaries, that rule is still consistent. The Phoenix Stone will bring dead bodies back to life but there's no guarantee that the soul which goes back into the body will be the right one. Unless, like the Heretics, you have the right spell. Julian's back, so now we have our Big Bad of the first half of the season. Lily, for the record, is an idiot. Colossal, head-in-the-sand, refuses to think with her brain moron. There was never any expectation for me that she would chose Enzo over Julian, but really? How is it possible that she couldn't see all the bad things Julian did during their time together? They were constantly moving around the world because of his bad business. He was murdering entire coastlines full of people. And she was just...in love? Okay, then. The writers have tried to set the Lily-Julian romance up as a parallel for the Damon-Elena romance by having Lily state that Julian made her better. Unless there's something we're just not seeing yet, Julian just made her blind. At least Elena did make Damon want to be a better man, and even in her absence she still does. Sure, we're supposed to see Lily's characteristics in both of her Salvatore sons, and we can, but that parallel? That's a stretch. The only interesting things to come out of Julian's resurrection are the Stefan-Valerie team-up to kill him because of their shared loss and the little scar on his chest, signifying the coming appearance of our hunter. I know that Steroline fans are probably raging over the fact that Valerie will come between Stefan and Caroline, but I'm not reading their scenes together that way at all. I see Stefan as being 100% with Caroline and assured of the fact that she is who he wants to be with. But there's no denying that he has a history with Valerie and now a common enemy. Julian changed the course of Stefan's entire future, and Valerie's too. And by extension the futures of Mary Louise, Nora, Oscar, and Beau, since they never would've figured out that they could become vampires had Julian not beaten Valerie to the point that she wanted to kill herself. If anything will come between Stefan and Caroline right now, it will be Caroline. I can see the writers creating a situation and story for her where she can't understand what's been taken from Stefan and why he's spending so much time with Valerie. Her jealousy and insecurity will cause her to lose her head a little bit, and we'll all get to sit through it. Can you tell I'm not excited by that prospect? 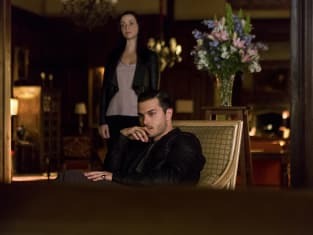 I am, however, eager to learn the story behind the vampire hunter who is drawn to the marks, especially now that we know Julian is a marked man and that Stefan will be in the future. Where do the marks come from? What do they mean? We want answers and we want them now! 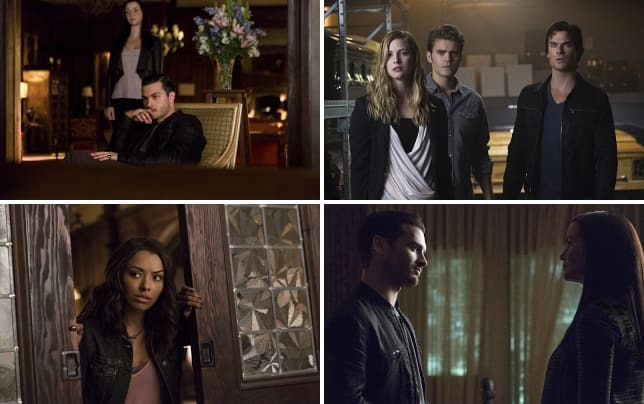 Unraveling that mystery will be as much fun as watching Bonnie and Enzo get together! The flash forward of Bonnie in the hospital was not at all what I expected, which made it even more awesome. Bonnie's never dated a vampire. Now's the time, Bonbon. You need some love in your life! So does Alaric, and how heartbreaking and beautiful is it that, even though he knows Jo isn't Jo, he's still going to help whomever is inside her body figure out what's going on, and in exchange for helping this random vampire living in his wife's body, he'll get his twin girls back. What I don't know, and what we'll have to watch The Vampire Diaries Season 7 Episode 6 to find out, is whether or not Jo is a vampire now that there's a vampire living in her witch/human body. What do you say, fans? Is Jo a vampire or does the fact that her body is human keep the vampire inside her at bay? How do you feel about the Valerie-Stefan-Caroline saga? Will Damon be successful in killing Julian? Sound off in the comments below and don't forget you can watch The Vampire Diaries online! Take a look at what's coming up now! 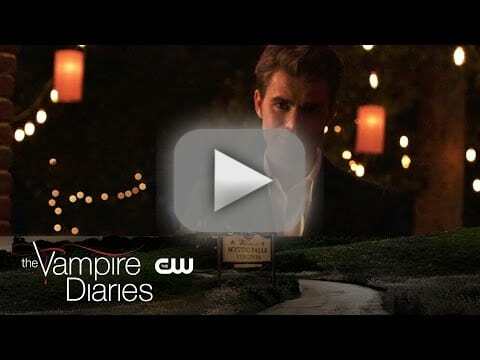 The Vampire Diaries Review: All Aboard The Train to Crazy Town!